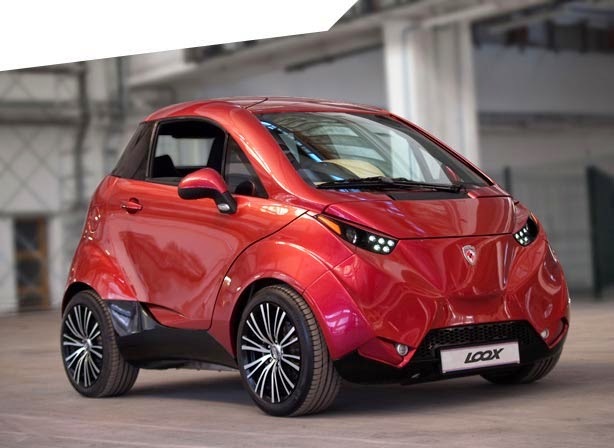 After successfully selling small electric car called Dok-Ing XD, now the Croatian robot manufacturer launched the second generation of the electric-powered car, which was named Dok-Ing Loox. The newer generation has more beautiful and luxurious design of body and face, so that not a few people call it as 'Small Lamborghini'. As reported by Autoevolution on Thursday, January 22, 2015, in contrast with the previous generation that has a capacity of only two seats, the Dok-Ing Loox has three seats. One seat for the driver who was right in the middle and two passengers seat in the rear. The car manufacturer claim that the car interior layout adopt the layout owned by McLaren F1 car. Although it only 2.8 meters long and 1.7 meters wide, but the access in and out of the car is still free. Understandably, in addition to large, the car door opened to the top. Even with the mini size, this car is very easy to get a parking space, even if in a busy supermarket. Its performance was so reliable, where the electric motor and its 32 kWh lithium ion battery, capable of spraying power up to 64 hp. Its weight is light enough, because it uses aluminum chassis and carbon fiber body. As a result, the light weight and the power of it, Dok-Ing Loox be able to accelerates from 0 -100 kph (62 mph) in just 7.7 seconds. That's acceleration time nearing to the VW Scirocco GT for the same distance.